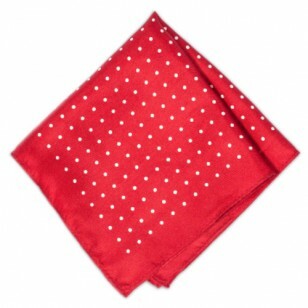 Bursting with energy and passion, the Red Devil Designer Pocket Square by Fox and Luther promises to spice up your mundane Monday in the office. 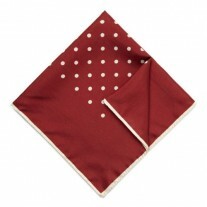 Add a splash of colour to your formal look, with the added charm of polka dots thanks to this Red Silk Pocket Square with White Polka Dots. 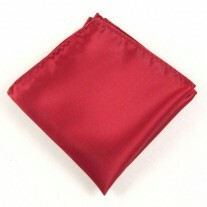 The red tone of this hankie is quite bright and therefore best matches ties of equal vibrancy. The white polka dots do tone it down somewhat and allow this men’s handkerchief to be matched with lighter coloured jackets. 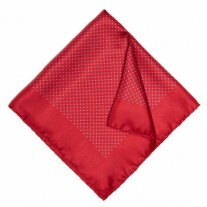 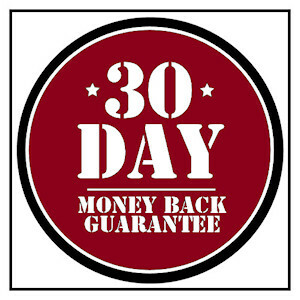 100% silk and available at a fantastic price, Fox and Luther bridge the gap beautifully between price and quality.